Finding the best rug for your room involves many different factors. You first want one that goes elegantly with your décor and in many cases, one that will go with a number of decorating changes. It should have a high quality feel and appearance and be as durable as necessary for the area. High traffic areas need rugs made of more durable material and you can add to that durability with an anti-slip padding underneath. The anti-slip padding does so much to extend the life of a rug. It takes the force of the foot traffic, particularly in high traffic areas. It absorbs the shock and help keep the pile of the rug in tact, aiding them to spring back to the original position before walking on it. 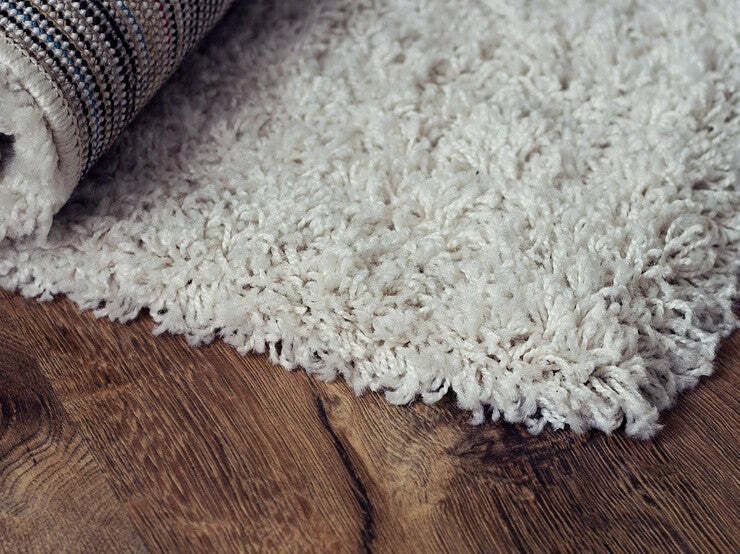 Without a pad, you could experience premature flattening of the rug fibres, creating an unattractive flat pile. Of course, safety issues are also important. Keeping the rug firmly on the floor can help prevent injury from slipping. It also keeps the rug neatly in place, and in most cases, defying the activities of both children and pets that zoom and slide through the hallway or living room. That type of bunching can break the fibres quickly and leave the rug with folded edges and bunching, which creates another potential hazard. Even if you have no pets or children, sometimes rugs “creep” slowly out of position, particularly on hardwood flooring. That can cause the rug to move enough to create an unbalanced appearance, which occurs so slowly you won't notice it, but your guests certainly will. The anti-slip padding can help prevent that problem and will keep your room looking as elegantly as the day you arranged it. 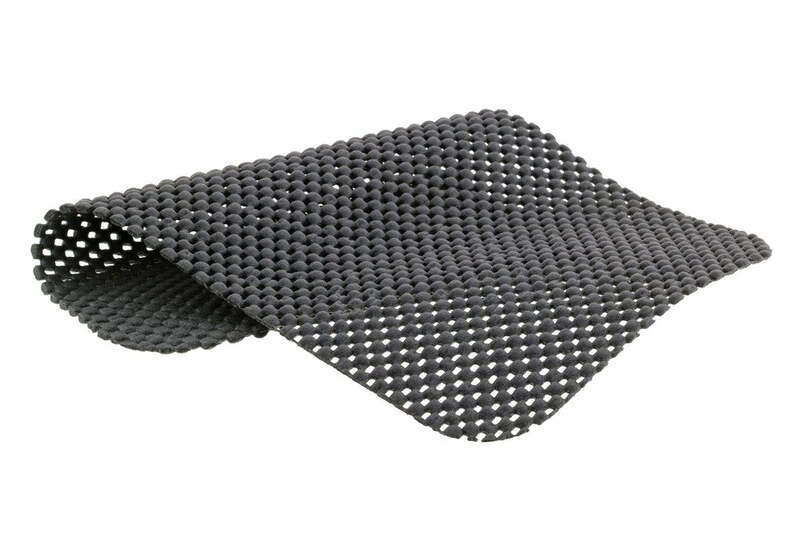 The anti-slip pad can also protect your flooring. Some rugs have a backing that doesn't breathe. It maintains moisture and holds it to the flooring preventing damage to a wood finish and damage on carpeting. Made from durable 80% PVC 20% polyester anti-slip matting can be machine washed and is available in a choice of sizes. An anti-slip rug to carpet mat can be cut to the required size. It is fixed to the back of the rug by peeling back the film, remove the film on the side and stick the rug directly onto the carpet, it really is that simple! Finding the right type of anti-slip padding for your floors is important. It can help prevent rug damage, and therefore extended its life, floor damage and even help to prevent slip and trip accidents. 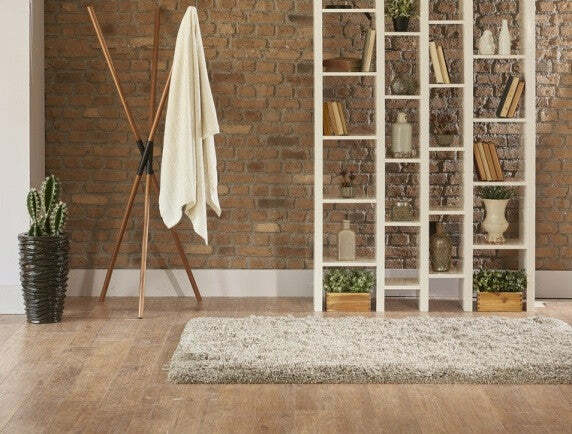 In short, every rug should have anti-slip padding or mat underneath it to help it stay in place.